[address label]: Mrs. Robert Arneson, North Shore Road, Oswego, Oregon. Description Enlargement of photo 753a. Two pin holes along top edge. 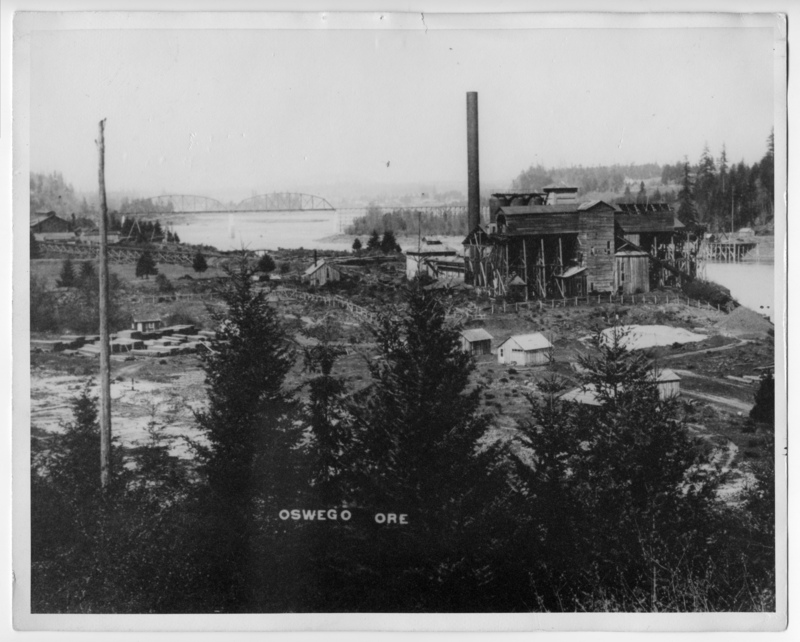 On front: Oswego, Ore. Pipe foundary on far right. Transcription [address label]: Mrs. Robert Arneson, North Shore Road, Oswego, Oregon.